Orbital Sciences Corporation was selected by DIRECTV to build SKY MEXICO-1 (SKYM-1). 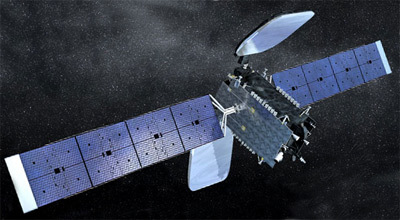 The SKYM-1 satellite design is based on Orbital's highly successful, flight-proven, GeoStar-2 satellite platform, and was manufactured and tested at Orbital's satellite manufacturing facility in Dulles, Virginia. The SKYM-1 spacecraft carries 24 active Ku-band transponders and 2 active R-Band transponders providing Direct-to-Home broadcast services to the Mexico, Central America, and Caribbean Regions. The satellite will be located at 78.8° West Longitude and will produce approximately 5.0 kilowatts of payload electrical power.